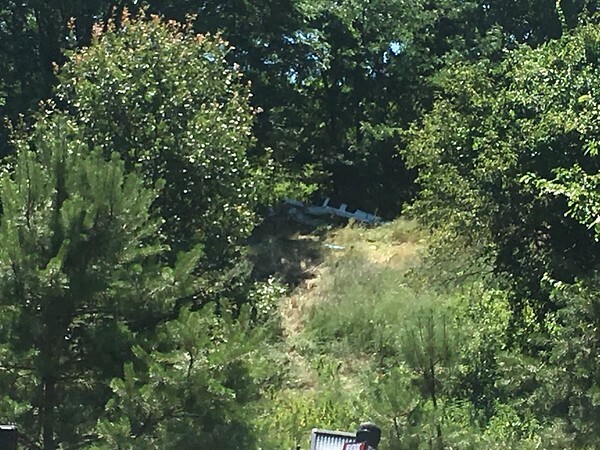 PLAINVILLE — One person was killed Thursday morning when he was ejected from a twin-engine airplane after crashing it near Robertson Airport. The pilot, the sole occupant in the airplane, was identified as 67-year-old Burlington resident Donald Eckberg. The impact occurred in the town’s landfill that sits just southwest of the airport, behind an apartment complex off of Julie Road, just before 10:24 a.m., when authorities received a 911 call about the crash. The first officer on scene had to hop a fence and run to the top of a hill, where the wreckage sat, and call out for any survivors of the crash. The officer tried performing life-saving techniques on Eckberg, but he had died on impact,” said police Lt. Nicholas Mullins. Roger Knapp, who lives in an apartment about 100 yards from where the crash occurred, said he was working at home behind a glass sliding door when he could hear that the plane coming. "I heard it was too low — that's for sure," Knapp said. Knapp, looking through the sliding door, said the plane first appeared as though it was coming directly for his home before it "banked" left and ended up in a wooded area. "Oh, it was a huge crash," Knapp said of the sound. Mullins said both the Federal Aviation Administration and the National Transportation Safety Board have taken over the investigation. The agencies will determine what caused the crash. On its Twitter page, the NTSB identified the aircraft as a Rutan Defiant — a four-seat, homebuilt aircraft. Mullins said the aircraft had taken off from Robertson Airport, but he was not sure where it was headed. This is not the first time a plane has crashed near Robertson Airport. Just last September, an 80-year-old man, flying a single-engine aircraft, crashed into a tree and spun around before the aircraft settled into a parking lot adjacent to the airport. He walked away with very minor injuries. Mullins also said there was a crash several years ago near Northwest Drive. Posted in New Britain Herald, Plainville on Thursday, 12 July 2018 13:13. Updated: Thursday, 12 July 2018 15:28.